Konto Music re-inventor, Hanu Jay comes through with a smoking new piece of music he titles “Good Love.” On this banger, Hanu Jay scores the feature of Tinny Entertainment anchorman, Ycee, and the duo merge musical styles to complete the rout on this exciting joint. “Good Love” is a follow-up to Hanu Jay‘s well-accepted “No Smoking Zone,” which continues to smoke the stage across the circuit. However, this latest screamer is just set to pick up the rout from where the former stopped and with a music video to match, this smash was completed on all fronts. Then comes the addition and contribution of Omo Alhaji, Ycee who flosses his lines trap-like, over a smooth and mid-tempo vibe. Plus, he does bring the further dosage of authority and legitimacy to bare on the creamer. “Good Love” was mixed and mastered by the highly sought-after Suka Sounds, so you already want to get right into the groove and mood of its melodious offering. Simply stream, download, then share your thoughts and opinion in the comments section below. HANU JAY FEAT. YCEE -- GOOD LOVE (OFFICIAL VIDEO). HANU JAY FEAT. 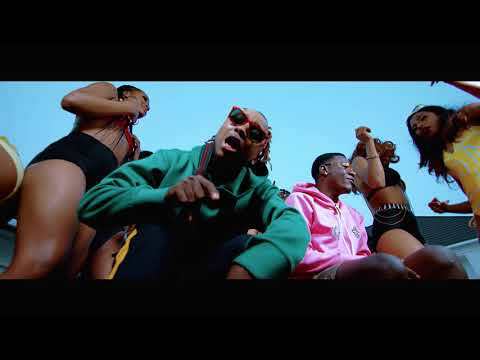 YUNG6IX -- DODO (OFFICIAL VIDEO).